I already wrote one post this week that was motivated by Rich Horwath’s book Elevate: The Three Disciplines of Advanced Strategic Thinking. Click here to read Competere. I also wrote another post View From 30,000 Feet that has thoughts on strategic thinking and leading strategically as well. While finishing reading the book for the second time I was on my way home from Washington D.C. It was nighttime and if I sit next to the window I love to look out and see if I can identify the cities we are flying over. This time I was struck by how little detail you really can see at 30,000 feet (actually, according to the pilot were cruising at 32,000 feet). I have shared a picture I took out the window at this altitude with you in this post. 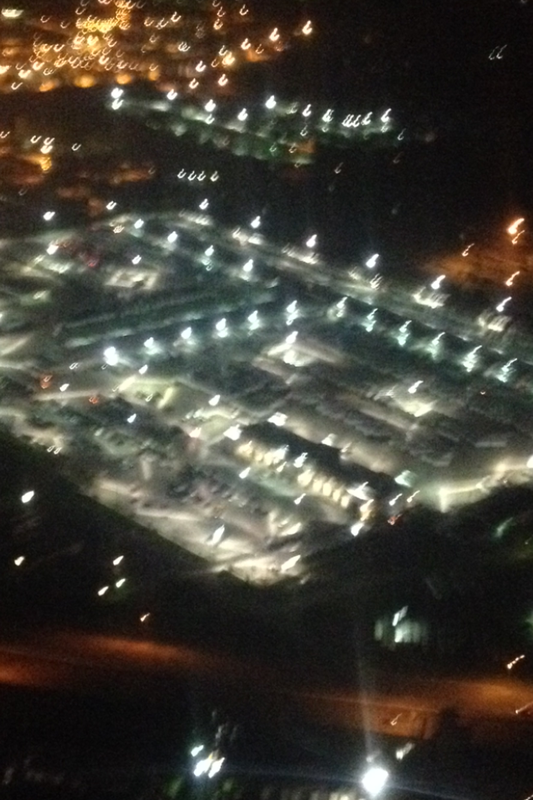 Then, when we were getting ready to land I took another picture at what I guessed was around 1,000 feet. I have shared that picture in this post, too. It was amazing to me the difference in detail that could be made out. This was one of the points that Horwath was trying to make in his book. He contended that the old adage of taking a 30,000 foot view is too high. You are too high up to see anything with any precision. He likes to use the analogy of a helicopter at 1,000 feet. here, he argued, you can see with precision and clearly recognize what you are looking at. You can see houses, trees, flow of traffic, and trucks backing into docks. So, what did I learn from my experience looking out the plane window? The 1,000 view enables me to see the whole picture with detail. this will enable me to lead in a way that strategy is developed first, so that great tactics (key initiatives) can be put in place. Think of it this way: as I write this I am on an airplane headed back to Washington D.C. The plane I am on is the tactic. While the plane is what is getting me to my destination; it would probably not be a very successful, or safe, flight without an accurate flight plan. This flight plan and allocation of the airplane to Washington DC is the strategy. The airline was even able to be strategic and route us around a storm. 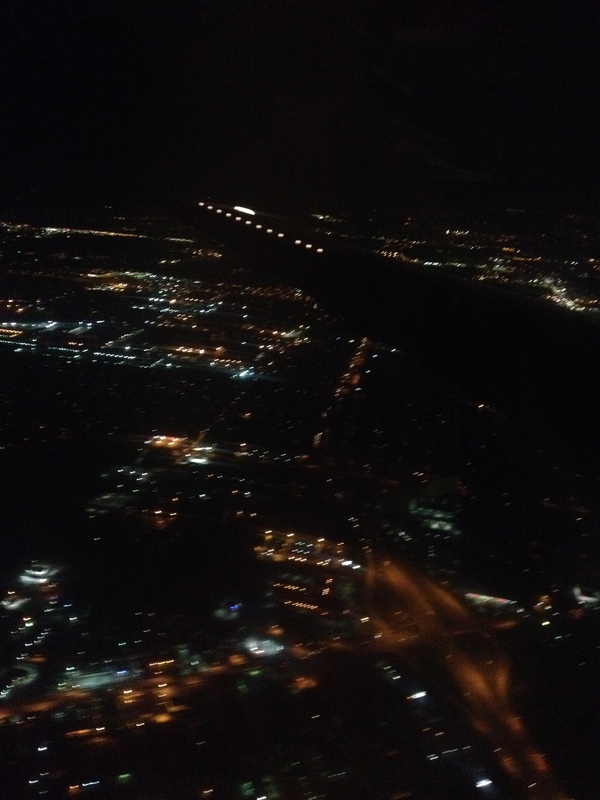 The reallocation of extra fuel to send us around the storm made our flight safer, smoother, and more enjoyable. The only negative was it took about 8 minutes longer. A pretty good trade off in my book. If this example didn’t make for a great story, I don’t know what would. From all this I have learned that I must get myself to the optimal height to see the detail needed, but yet still get the big picture. This really becomes a question of strategic insight. An insight is the combination of two or more pieces of information or data in a unique way that leads to the creation of new value. Strategic thinking, then, is the ability to generate insights that lead to competitive advantage. Putting strategy in action we begin to think about why initiatives need to be pursued instead of just what is being done. This kind of thinking is so important in all industries, but is crucial in education. There are thousands of tactics available that are touted as the next tool for enabling the highest student achievement. But, we have to remember that without strategy we are flying blind, literally! Without a clear strategy and theory of action, we are just completing “to do” lists! Great strategy enables us to be agile and allocate and reallocate resources to be successful! Tagged with: Horwath, Rich Horwath, Strategic Thinking, Washington D.C.